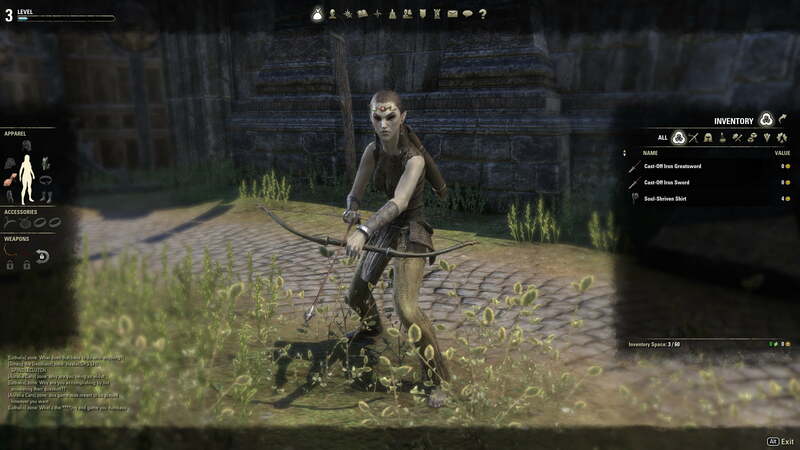 The Elder Scrolls Online is already fighting against long odds. It’s a subscription based game that requires an initial sixty dollar investment in addition to a monthly fee. Combine this with the massive amount of press and hype it’s received leading up to release. Is there a way that The Elder Scrolls Online can possibly live up to these lofty expectations? As much as I’d love to say this’ll be the game to knock World of Warcraft from upon it’s throne in it’s current state I’m barely comfortable saying it justifies a purchase. 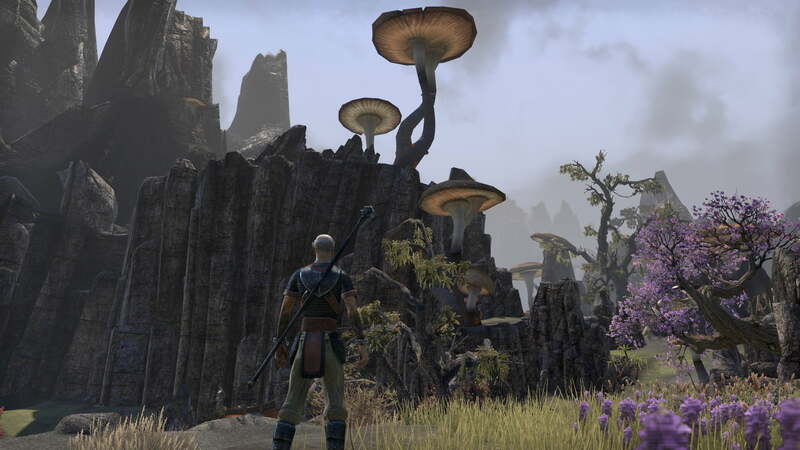 The Elder Scrolls Online is Bethesda taking one of the most beloved single player RPG games ever and crafting an MMO from it. It sounds like a good premise, MMO’s need strong lore to support their worlds seeing as they’re trying to get players to spend years there and, Bethesda has 5 games worth of it to use in The Elder Scrolls Online. I really cannot think of another MMO where I’ve been this interested in the lore and story aspect outside of World of Warcraft, the world is created to be very faithful to their source material and to breathe new life into areas that we have never seen in 3D before. For fans of the series going through the world is sure to be a treat. It’ll be a good looking treat at that, as The Elder Scrolls Online is easily one of the best looking MMORPG’s to ever be released. The environments are rendered far better than expected for an MMO and the art style of The Elder Scrolls series is very faithful to its medieval source material. Though, many of the areas in the game look almost too polished for the dirt and grit one would assume to be present in these areas. A hastily assembled beach camp after escaping from a burning village shouldn’t be as well put together and pleasant looking as it is. The world is filled with a fair share of NPC’s the vast majority of which are fully voiced. You’ll probably recognize many of these voices from other games and even major Hollywood productions. Michael Gambon, Kate Beckinsale, and Jennifer Hale among many others provide their vocal talents to believably written characters. If there’s one thing that The Elder Scrolls Online does quite well it’s creating a beautiful and believable world that you’ll want to spend tons of time in. Character creation is very similar to what we’re used to from the Elder Scrolls series, you can fine tune nearly every aspect of your character creating nearly anything you can imagine. Everything from jaw size to eye brow length can be altered to your hearts content. I made an Imperial who I tweaked to look as close to myself as possible, there’s a small problem with that. If I wasn’t playing the “Imperial Edition,” of the game I wouldn’t have access to what is arguably the most prolific race in the Elder Scrolls universe. It’s a controversial move by Bethesda and a move that I genuinely do not think will pay off in the long run. Upon exiting character creation you’ll be dropped into the world or, in my case, dropped out of the game as a whole. 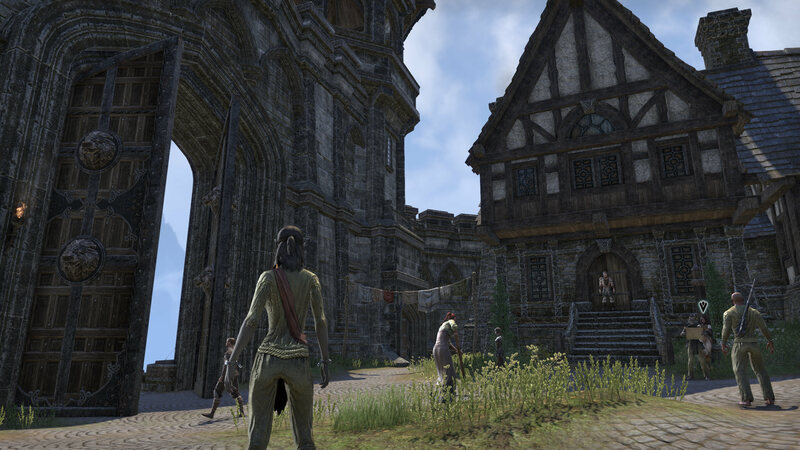 Here’s where the most serious flaw the the launch of The Elder Scrolls Online comes into play. It didn’t work for three and a half days of the five day early access launch window. When clicking the login button I’d immediately be greeted with a crash report. Hours of troubleshooting later I had no choice but to give up and wait for a patch to hopefully cure my game of whatever was causing it to be non-functional. That patch arrived three days later after a twelve hour server maintenance. The excitement of being able to login was quickly doused when I discovered, I couldn’t attack and even worse, half of the UI would refuse to load when entering menu’s. After more hours of troubleshooting and running the repair tool I decided to wait one more time for the final pre-launch downtime to end. Luckily, I was able to play a functional character for the better half of a day once the servers came back up. What I got to play was actually quite enjoyable. It’s very faithful to Elder Scrolls as a whole and the combat carries a certain weight and impact that MMO’s seem to struggle to find today. Being able to equip whatever you find to make a play style all your own is a novel idea in today’s MMO world and it’s nice to see Bethesda refusing to cave to certain traditional aspects of the genre. However, there’s still a lot of bugs, quest NPC’s that don’t spawn, doors that don’t open, enemies that can’t be looted that are holding quest items. It’s nothing out of the realm of normalcy for the launch of an MMORPG game however, it does put a damper on the launch day experience as a whole. The Elder Scrolls Online is a genuinely fun game when it works, and I entirely plan to re-visit it and write a separate review for it once the bugs are worked out. Unfortunately, in its current state I simply cannot in good faith recommend that you run out and buy the game today. The amount of technical bugs that interfere with the gameplay is enough that I’d say it’s worth waiting it out. This will be a great game someday, today is not that day. The Elder Scrolls Online will be a great MMO, in 2-3 months once all the bugs are fully ironed out.